I still know exactly what he looked like. A green velvet hunting costume. His gun was missing. The Germans had another purpose for the labor camps. They wanted to isolate all able-bodied Jewish men so that they wouldn’t revolt. At first the Nazis tried to keep up the appearance that the camps were not under their command but under the authority of the Heidemaatschappij [heathland reclamation society], a government agency for job creation. In addition, the Jewish Council was brought in for the physicals. 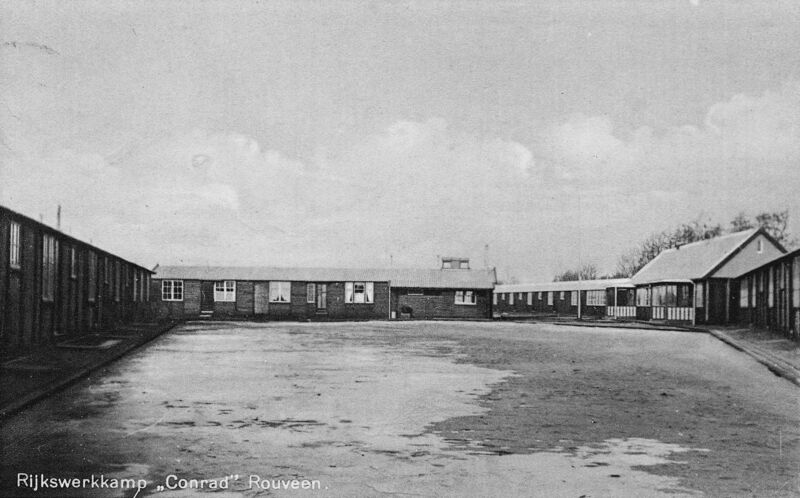 Conrad labor camp, before the Jewish forced laborers arrrived © G. Stegeman Rouveen.